At ICT Organics, we develop proprietary, environmentally sustainable sources of natural nutrients and biology for use in organic turf care. These innovative products are cost effective, easy to use, simple to administer with repeatable documented results. 1 2 3 Instant Compost Tea™ is part of our turf specific, bio-fertility product line and is an innovative new organic lawn care product. 1 2 3 Instant Compost Tea™ is designed specifically for lawn and landscape professionals and the rigorous demands of their customers. 1 2 3 Instant Compost Tea™ is produced from our specialized Plant Growth Promoting Rhizobacteria (PGPR). 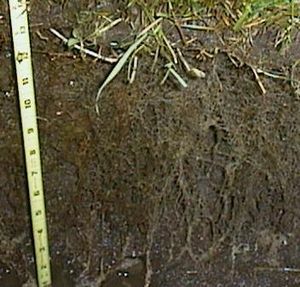 PGPR supply the microbial and fungal populations to the plant root system that profoundly affect soil biology in relation to nutrition, development and health. These turf specific PGPR colonize the soil and trigger beneficial effects and enhanced nutritional function for grasses, which means greener, lusher, healthier lawns. © 2019 ICT Organics | 7000 Golden Ring Road #9692 | Baltimore, MD 21237 | Phone: (443) 292-2420 | Site Produced by Clarity Connect, Inc.